Something I’ve been faced with whenever I speak about sport psychology is the question ‘but why do we need it? What’s the point? There’s nothing wrong with me.’ Never once did I mention something being wrong either. It’s just assumed that’s what we do, fix problems, when in reality that’s only a small part of how sport psychology can help an athlete, team or coach. Yes, we can help ‘fix’ something that’s not going right. For example an athlete coming back from injury, who is physically 100% but not playing to the standard they used to, do you ever think ‘why? I know you can play better than this!’? How about an athlete that comes to training and performs like a pro but can’t put that same performance out on the field in a game? Both of these and more scenarios you might be able to think of, either personally or something you’ve observed, can potentially be helped using psychological tools. From where I stand however, sport psychology is something that isn’t just used to help improve performance directly but also a person’s wellbeing. Not all consultants will necessarily agree with that specifically but here is how I see it, an person’s wellbeing, if they’re struggling with something outside of training, isn’t always kept on the outside, it’s brought into training or onto the pitch and therefore can have an effect on their performance. So creating something within the team or club that can allow for the acknowledgement of a person’s wellbeing could be something beneficial for performance. I realise I’ve only spoken about problems here so far, where’s the ‘there’s more’ part? It sounds daunting saying sport psychology is there to help fix problems especially, like with the opening statement, you don’t think you have a problem. How about the idea then that sport psychology can be used to enhance what is already good, or great, or amazing? Yes psychology can help an athlete come back from injury, or overcome a bit of a performance slump but it can also help in other ways. It can help coaches to recognise how to approach players and get the best out of them. It can help a team go from working well together to working seamlessly through communication enhancement techniques. Sport psychology also allows the athletes an opportunity to talk. And by talking I mean in a way that they might not usually speak in front of their friends, team mates or coaches. A chance to create an environment where they can be open with no negative outcomes, only positive solutions. This is what I have found to be the most powerful of tools. Ever noticed that, as a coach, your players seem put out, or frustrated but won’t tell you why? Have you looked at your fellow team mates and felt like they are not acting the way you would expect, or like they might be gossiping about something, or treating you in some kind of way? Has anyone ever approached this in a non-confrontational way? What I now ask is this…whilst sport psychology might be a new concept to you, have you ever wondered about anything I’ve mentioned here and are you willing to delve a little further into yourself, whether a coach, player or parent of a player, and your team? Are you willing to try something a little different? I have been a competitive athlete since I was 5 and decided to study Sport Psychology (BSc and MSc) to help me progress my own skills. During my placement with Merseyside Nighthawks American Football team in my masters year I found an unexpected love for the sport and an immediate positive reception to the work I was doing. This only amplified my want to support other athletes to help to enhance their mental game as well as showing them the importance of their wellbeing. Founded by Coach Taylor Brown, American Football United offers a place for coaches and players to go for first class advice. 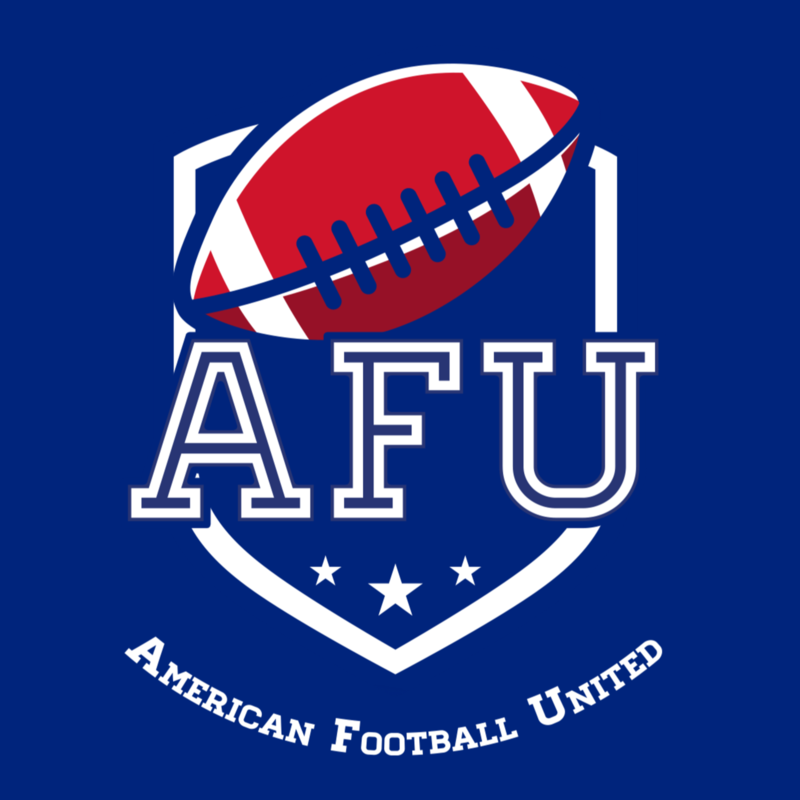 AFU also offer a number of training plans focused on improving American Football relevant athleticism.